Pinterest is a great deal for promoting your Business. There are many positive reasons in Pinterest for business development. Pinterest also providing many benefits for the Small-scale businesses. Brands images and create individual boards for different services. Pinterest pins support your business to go on an audience. Social Media marketing tools Pinterest provides a great deal for increased your company sales, brands promotion and audience engagement. Create Rich content boards around your Niche. Make sure that your business name is on your Pinboard. Think creatively about creating boards for your Business. Take advantages from creating smarter limiting strategically in weekdays and weekends. Manage your social media boards from one account. So that your brand has unique account recognized by google search with all Social media optimization. Schedule pins from pinterest.com directly. Consistent sharing is important in social media accounts. Your customers may wait for your release of your product info or postings at your regular timings. Drive more traffic to your Websites. Pinterest can convert audience to Buyers. Pinterest is integrated with other social media Accounts. Increases to get more Inbound Links. Every time there is something new on the horizon everyone is posting with the same question – should I jump in or not? It is a good question and one that is putting most firms in a state of dilemma. If you do not jump in and it becomes an Internet rage, then you lose out on quite a lot. On the other hand, you do jump in, and it fizzles out then you would have wasted a lot of time, energy and more importantly resources, which is now basically just milk down the drain. So how do you gauge the Next Big Thing? And more importantly, is Pinterest it? Pinterest like any other social media phenomenon has caught the interest and fancy of its users pretty quickly. Because eve everyone else is just starting out on Pinterest you haven’t been left very far behind. There is still time to catch up, and you can do this much more effectively if you hire a Pinterest consultant. Delving into an unchartered territory is always a bit of a risk. A consultant has all the knowledge your company requires to stay ahead of the competition and to hire a Pinterest consultant is the best decision you can take for the future of your company. Pinterest consulting will help you take the extra mile in the field of Pinterest marketing. Some of the biggest names in the world of marketing and advertising are venturing into the field of Pinterest marketing. The best thing about Pinterest is that it is new and that people and advertisers are just starting to explore the possibilities that Pinterest has to offer. Time to make the most of this growing phenomenon. Businesses of all nature such as tourism, crafts, food, interior design and many other are taking to Pinterest marketing as a tool to take their company ahead. One of the beautiful aspects about Pinterest is that the percentage of retaining and engaging new users is high. Translates into positive feedback from the users concerning advertising and marketing. Pinterest marketing is a great way to diversify your marketing strategy and online presence. And hiring a Pinterest consultant is the best way to make the most out of this business and marketing tool. 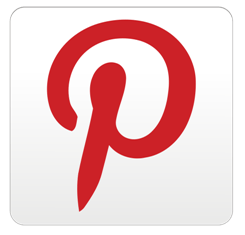 Pinterest is now the social media that is connecting people with social media ecosystem and making it the marketing force that it is. A Pinterest consultant is a professional who is the right person to do this job for your company’s marketing needs. Contact the right Pinterest consultant for your business needs today.